After a long ride in one of the typical “my love “ minibuses, we arrived after dark in Maxixe, the economic capital of Inhambane. Waking up the following morning we realised that we had nothing in our fridge. So we decided to go to the supermarket, but soon discovered that this is not the place to get your fresh produce. 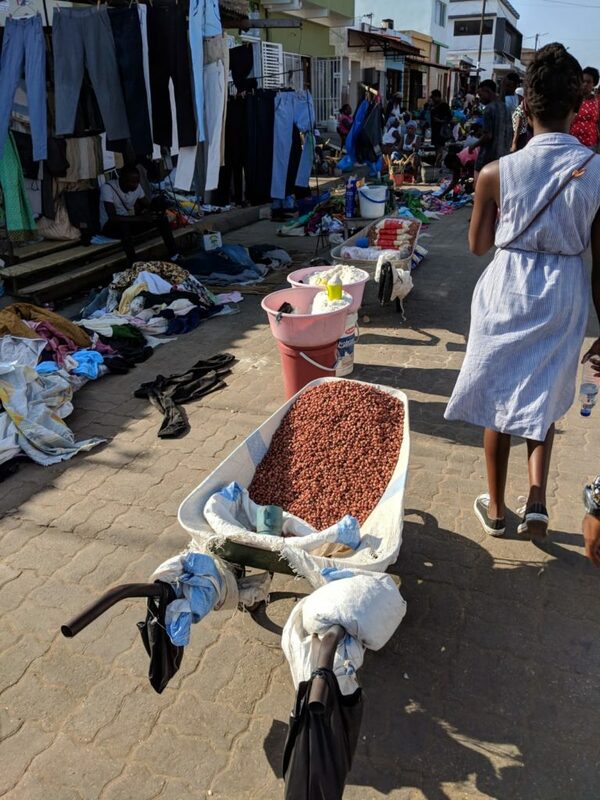 One needs to head to the busy and crowded Tsula market, an open hall, where the so called market mama’s of Maxixe sell their goods. 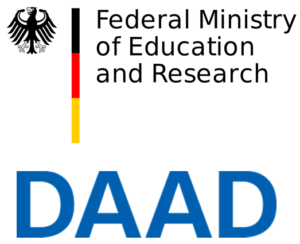 The next day we where looking forward to meeting the students of the Univercidade Pedagogica da Maxixe (UP Maxixe) and getting detailed information about the local faced challenges, which the YEEES Sustainability Camp is trying to address. 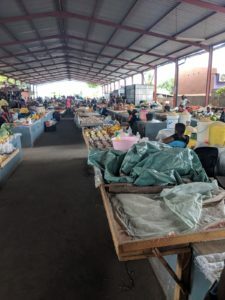 One of the issues that the UP Maxixe had discovered was directly linked to the experience we had at the market. 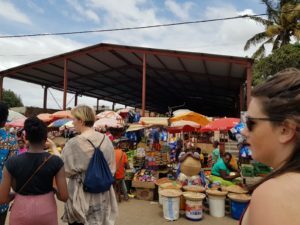 Looking at the market mamas we already saw that they are working in a highly competitive environment, since the selling activities are already expanded to the streets of Maxixe. This caught our interest in working on this challenge. 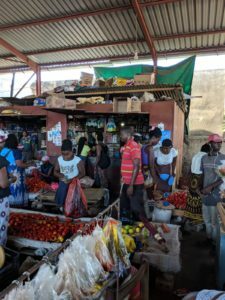 In order to receive an insight view on the topic, we decided to interview the market mamas with the aid of our mozambican groupmembers Munira and Edmilson. The interviews revealed that the problems the market mamas face are far more complex than initially thought. 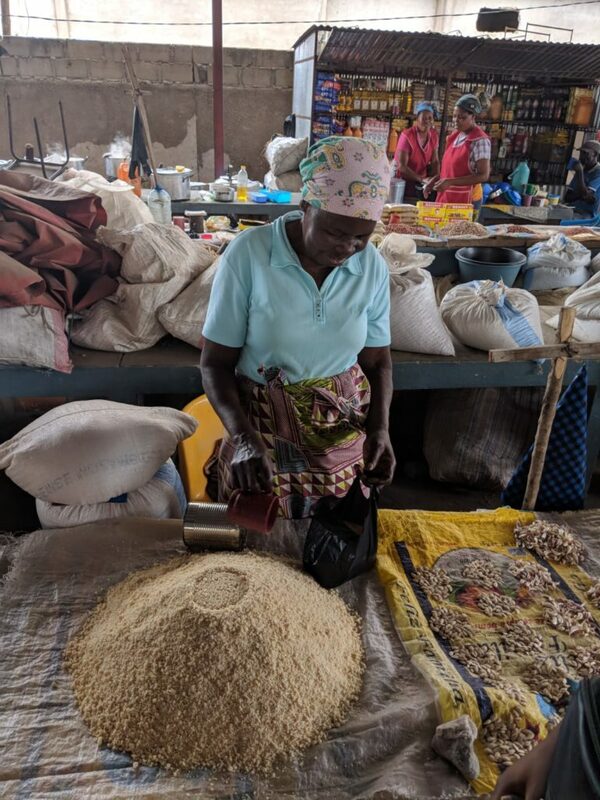 Many of the market mamas earn less then ⅓ of the minimum wage in Mozambique. With these earnings, they have to support their families resulting in no money for business growth or savings. The lack of financial literacy is a major challenge in this environment. They manage their business from day to day. Within the next few weeks our goal is to find solutions to ensure sustainable financial stability for the market mamas.